From year-round hunting, fishing, and bird watching to jazz music, wild nightlife and Cajun cuisine of New Orleans, Louisiana (LA) has something to offer to every traveler. The state's natural assets and various tourist attractions are perfectly illustrated along the numerous scenic byways. The Kisatchie Scenic Byway, one of the most scenic drives in the state, winds along an extremely rugged terrain. The surrounding area is steeped in natural beauty, colonial history and ancient Indian sites. The Creole Nature Trail Byway is a 180-mile journey through the untamed wilderness - "Louisiana's Outback". The River Road Byway leads you through rich rural landscapes and historic towns along the Mississippi River where you can find museums, heritage centers and excellent restaurants and B&Bs. 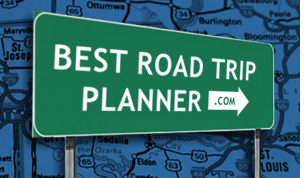 Take a road trip to Louisiana and see all the state's scenic sites for yourself!